Located 1.1 km from Hyde Park and 1.3 km from Royal Albert Hall, Three Bedroom Apartment in Bayswater offers accommodation in London. The apartment is 1.6 km from Portobello Road Market. Free WiFi is offered throughout the property. 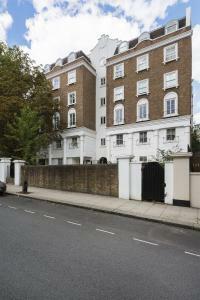 See all Three Bedroom Apartment in Bayswater reviews..